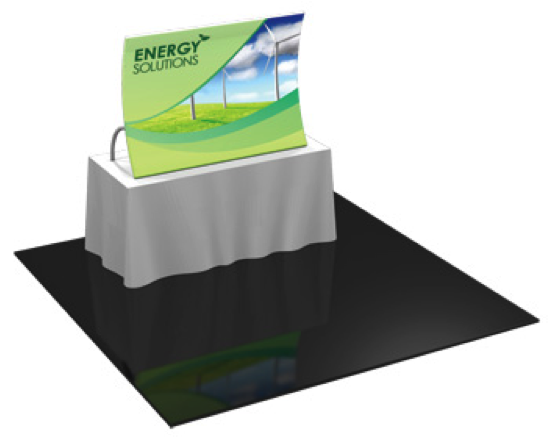 All-fabric frameless panel systems are lightweight economical tabletop and self-standing portable display solutions. 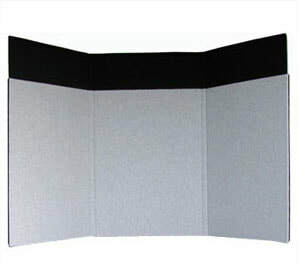 The double-sided Velcro compatible fabric panels stack to create different heights and fold together when packing into nylon carry bags or plastic shipping cases. 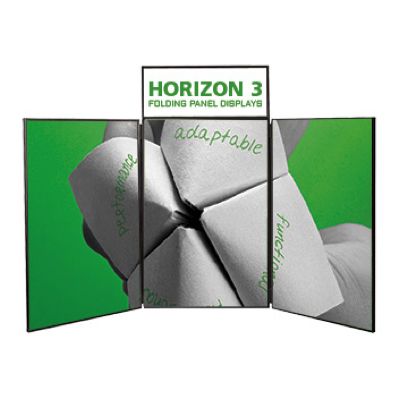 3 panel tabletop display kit in choice of fabric colours, with carry bag. 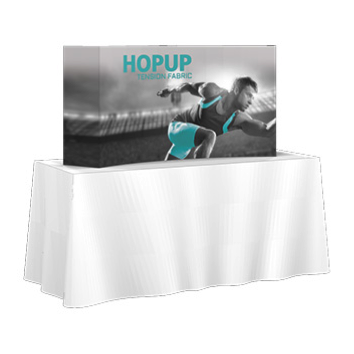 Vertical or horizontally curved tabletop display with curved rear leg frame for support. 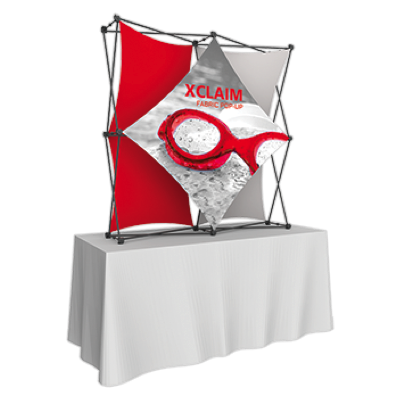 Pillowcase-style graphics slide over frame when assembled and zip closed.